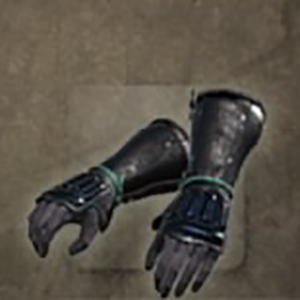 Attendant's Armour: Kote is a Arm Guards in Nioh. "Gauntlets made from black leather in a cylindrical shape. Only the hand area features thin iron plates, giving the gauntlets versatility. This armour was worn by the soldier attendants of lords and feudal lords, who remained by the side of their masters, and performed a variety of tasks."